Home » FAQs » How do I Know I am Ordering the Right Filter? When you buy a new filter, you want to try and match up a new one to your current filter. 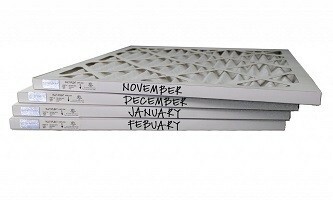 Check the brand, dimensions, and MERV rating of the filter already installed in your system. Some filters may even have the part number you need labeled on them. 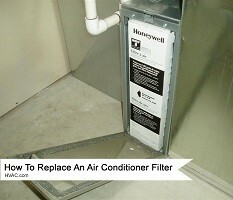 Once you have determined what filter you need, you can order your replacement filter online with HVAC.com. Simply navigate to the Furnace Filters category and Refine Your Search on the left side by entering the information you found from your current filter. Before you buy a new filter, you should remove your current filter first. You need to know what you have in your heating and cooling system to guide you on your filter search. The removed filter should indicate the brand you have and may even include a part number or SKU. If you have a part number, finding a replacement is easier. If the part number or SKU isn’t available or readable, you will have to consider other factors besides the brand. The brand will determine if it’s an OEM, Original Equipment Manufactured, filter or an aftermarket filter. Your HVAC system’s manufacturer may recommend a specific filter for your system and sticking to your specific brand eliminates too many options to choose from. The dimensions, such as the length, height, and thickness, of your current filter, also need to be factored in before you buy a new filter. A filter that isn’t a correct fit will reduce your system’s efficiency and lower your indoor air quality. Dust, pollen, mold, and other pollutants will escape filtration and clog up the components of your unit and compromise your airflow. A quality air filter should have a MERV rating labeled either on the filter or the packaging. The MERV rating stands for the minimum efficiency reporting value and indicates the filter’s ability to capture particles while filtering smaller particulates from your indoor air. The higher the MERV rating, the more particles are trapped and eliminated from your home. The downside, to a MERV rating that is too high, is that the air flow is reduced slightly compared to an average rating. Decide on the MERV rating you need based on your current indoor air quality and the efficiency of your system. If your air flow is already reduced, installing a MERV 13 filter might not be the best option if you want to reduce your energy costs. There are several good quality air filters to choose from that offer excellent filtering options without compromising your unit’s air flow.